CPE - English style crupper with long 5/8 inch straps to fit around billet straps. Shown with a black seeded tailpiece in Havana brown beta, brass hardware. CPE - English style crupper with tri-fold leather tailpiece or tri-fold PVC tailpiece. CPES - English style crupper with seeded tailpiece. Offered in black or brown beta. If you want another color of beta, please contact us. 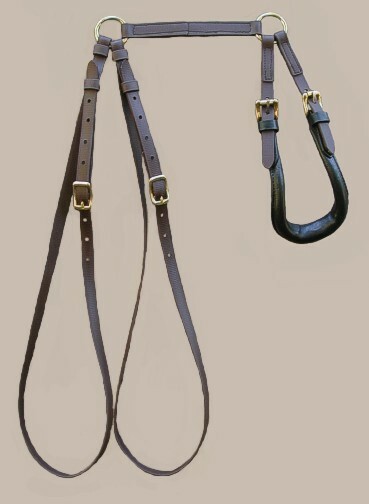 English style crupper with folded tail piece. Choose the folded PVC or folded leather tail piece. Choose beta color and choose hardware choice. English style crupper with seeded tail piece. Choose beta color and choose hardware choice.